Origins: Occurs in southcentral United States(e.g. Texas, Oklahoma), eastern Mexico and Central America, but has a tendency to wander much further afield. A striking bird that is often noticed and reported by “non-birders” when found outside its normal range. Record Details: Two records for Newfoundland. The first was photographed by a “non-birder” near the relatively remote location of Gaff Topsails (central Newfoundland) on July 3, 2001 but not confirmed or known publicly for several weeks. The (long-awaited!) second record was a moulting adult in Torbay from October 10-20, 2013 — it was seen and enjoyed by many. 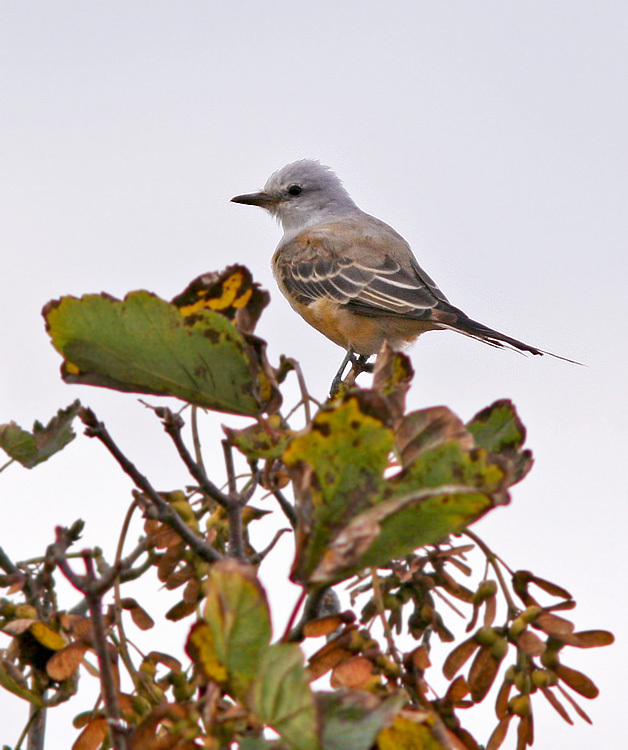 This Scissor-tailed Flycatcher was initially misidentified based on a brief glimpse. 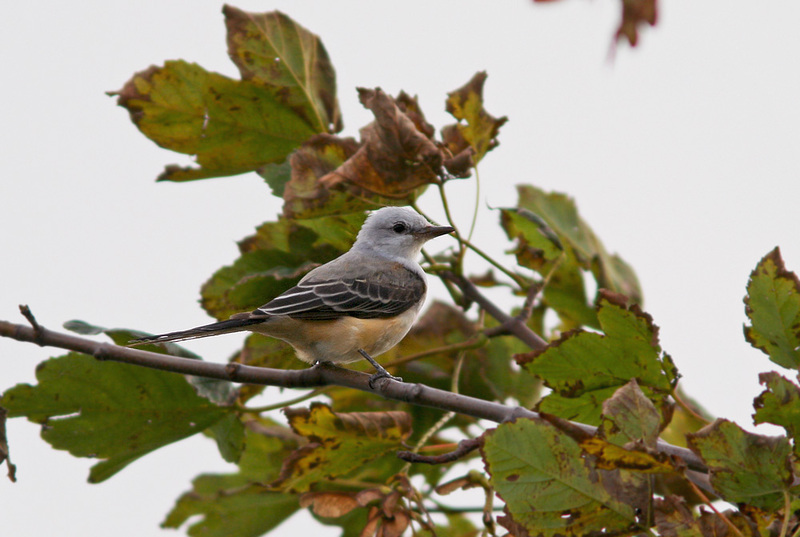 Luckily it was refound and properly identified – and birders were soon able catch up to it!